With any home repair and remodeling project it is necessary to have a good foundation under your home for it to stand the test of time. At Remodeling R Us we are specialists in the design, assessment, and inspection of your homes foundation. 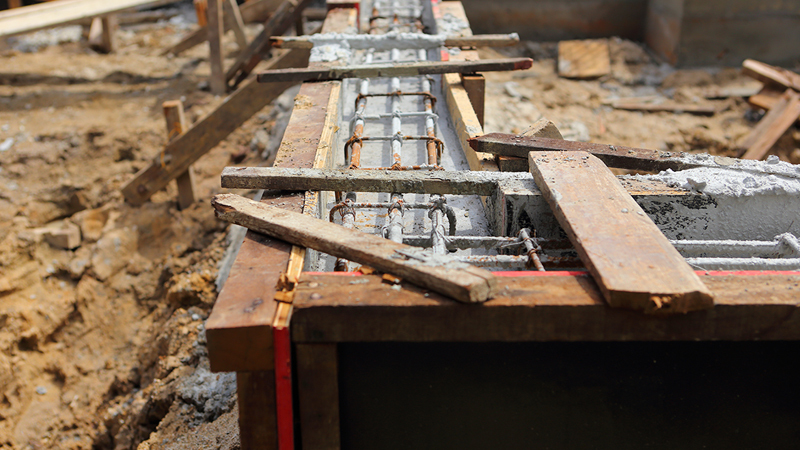 Whether it is Pier and beam, post tensioned slab, or drilled piers, we have a thorough knowledge of foundations and how they perform with the soil around them. When you need the best assessment of an existing or new foundation, we will provide you with accurate information when you need it. We have an extensive knowledge of soil conditions which allows us to offer you the best in foundation design, failure analysis, foundation inspections, and reports. It can be stated, without question, that the foundation of your home or business is the most important part of its overall structure. It is the starting point of any home remodeling job. As for retaining walls, it is vital that they are installed properly to prevent erosion and water runoff that could be hazardous to your property. Retaining walls are a functional, and attractive solution to unstable and sloped terrains. They are used to hold back hillsides and help prevent soil erosion and landslides. Retaining walls also create more useful area for everything from patios, paths, driveways, roads, parking lots, or any home remodeling that requires a flat surface. We offer a variety of options to fit residential and commercial needs. Remodeling R Us can take care of all your needs when it comes to your foundation or retaining walls. Give us a call we will be more than happy to help with any of your general remodeling needs. Remodeling R Us is the Best Contractor in Los Angeles Call today and let’s get started on your Foundations and retaining walls project.